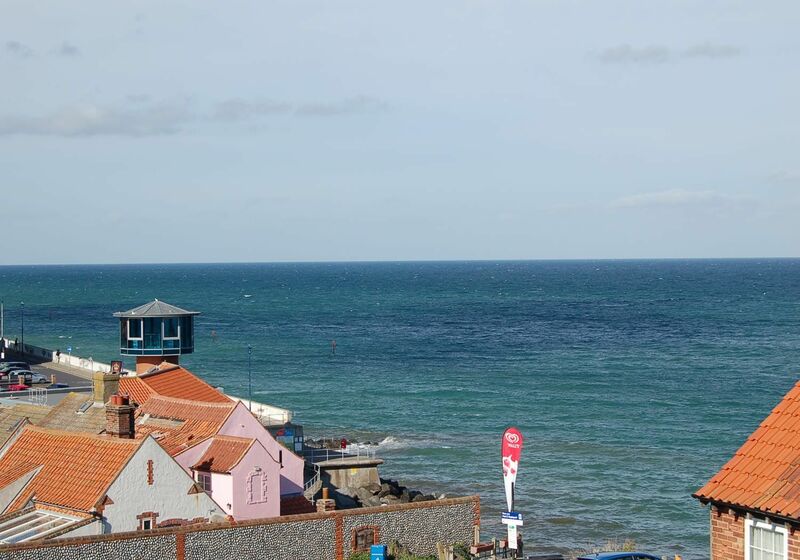 Top floor apartment with fantastic views over the town and far reaching views out to sea toward Blakeney Point and Cley from the balcony. 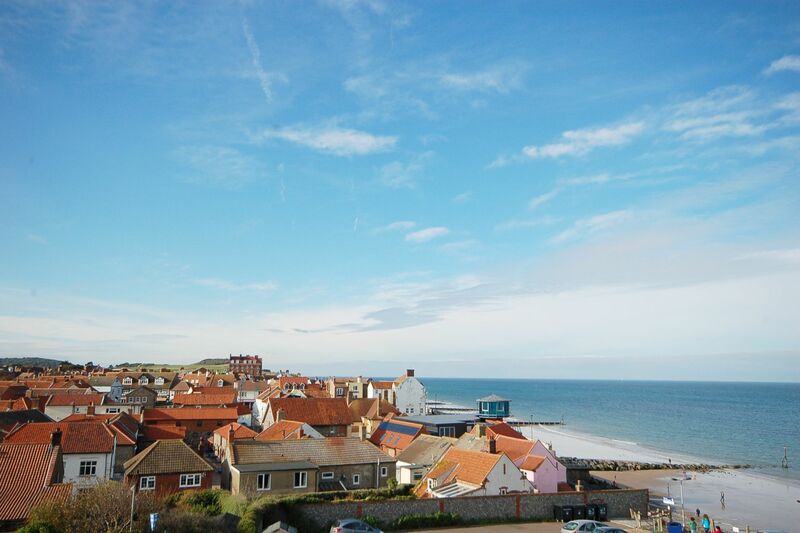 Positioned less than 50 metres from the beach and a 5 minute stroll into town, it is very well located for all Sheringham has to offer, to include the Little Theatre, Swimming pool and Steam Railway. Enjoy an early morning stroll to the beach in the summer to a late afternoon fish and chips listening to the waves crashing the shore. 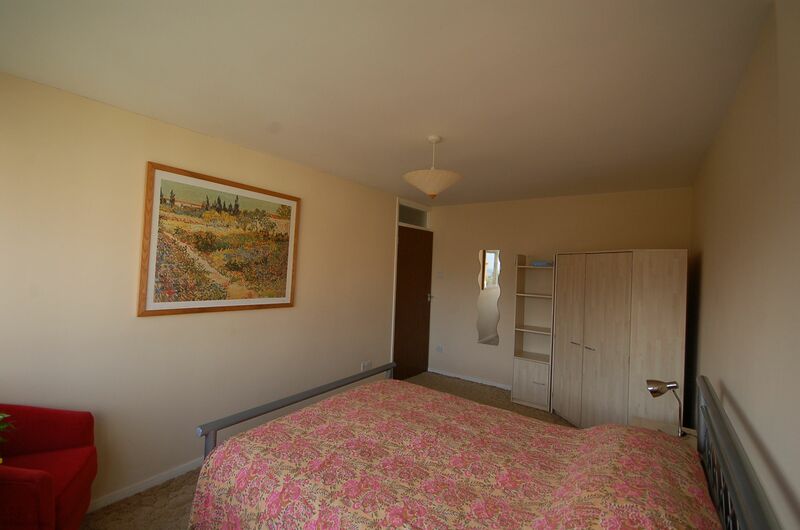 Top floor: Communal entrance with stairs leading to front door of the apartment: entrance hall which leads to an open plan Lounge/Diner with TV/DVD player and balcony with stunning sea views. 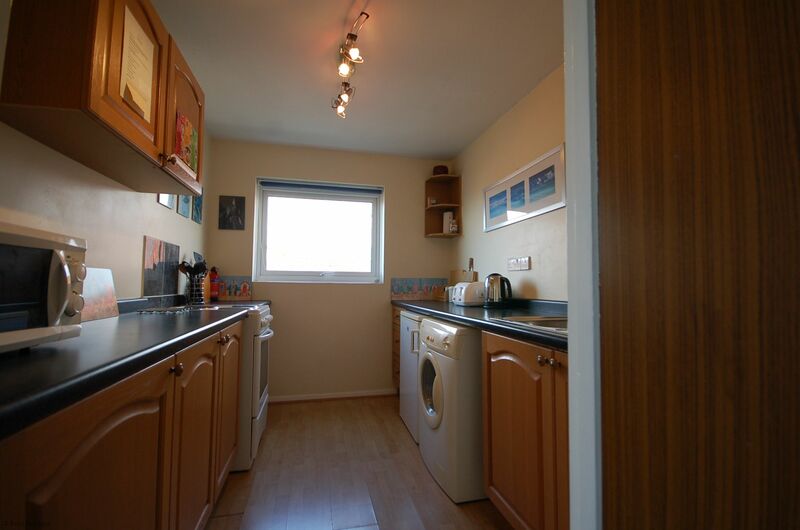 Kitchen: with electric cooker, fridge, washing machine and microwave. Family bathroom: shower over bath, WC and washbasin. 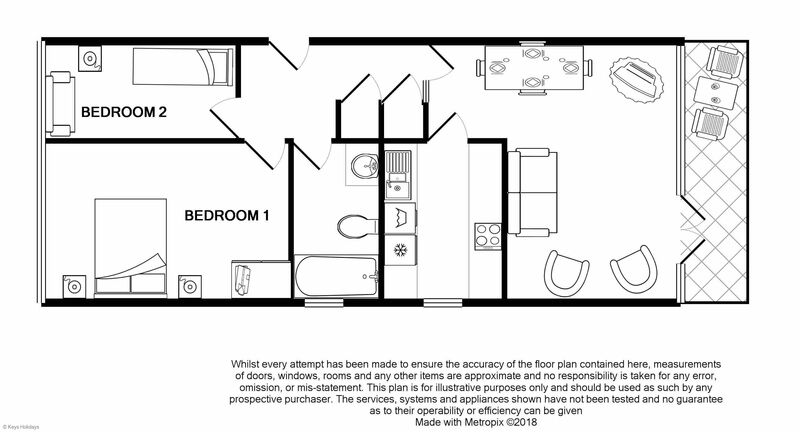 One double bedroom and second bedroom with one 2ft 6 ins bed and a small sofa bed (ideal for children). Please note: Top Floor apartment. 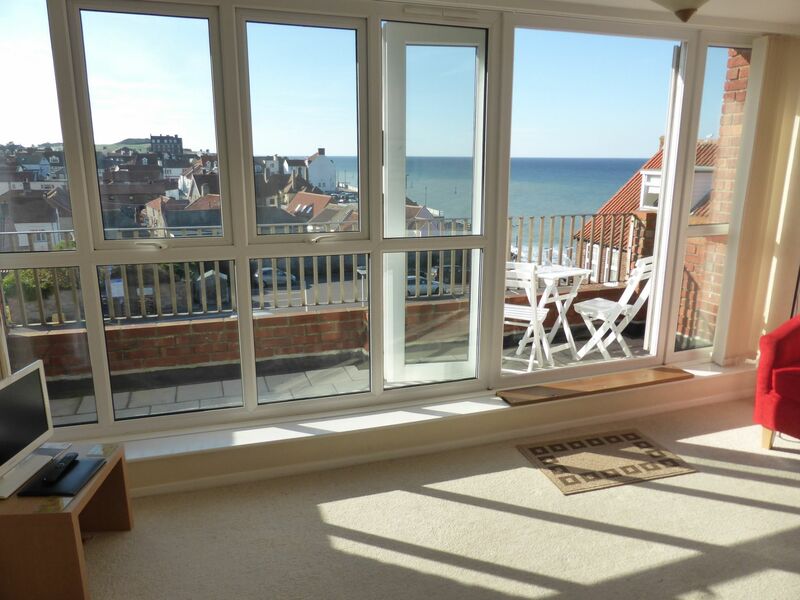 Outside: Balcony with sea views. Wi-fi. 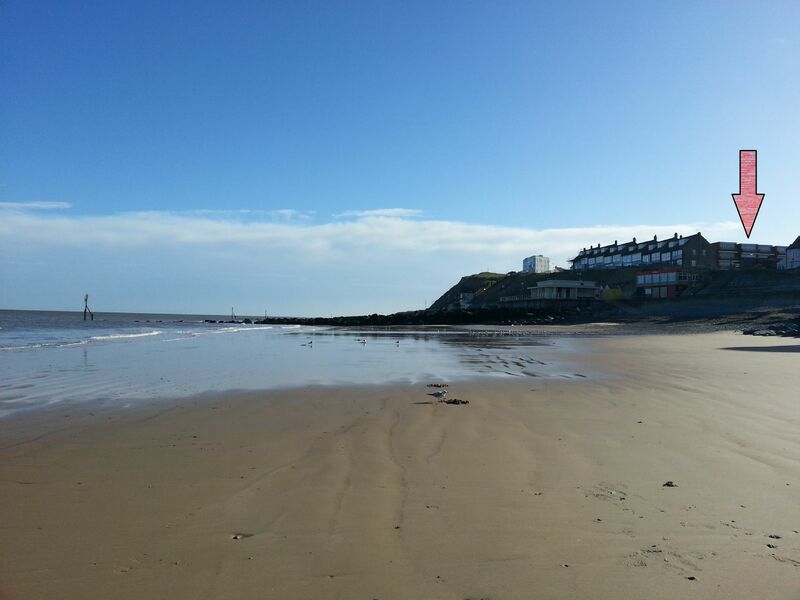 Location: beach 100 metres, pubs and shops a 5-minute stroll. Private parking space underneath the building.